Among Horace Hone’s (1756-1825) most renowned depictions was the 18th century actress Sarah Siddons. Portrait of the actress, Mrs Siddons by Horace Hone – £5000 at Cheffins. The Dublin miniaturist painted her on more than one occasion, examples of which reside in the National Gallery of Ireland and the Royal Shakespeare Theatre in Stratford-Upon-Avon. Another miniature showing the actress in semi-profile and wearing a hat sold for a record £10,500 at Bonhams Knightsbridge in November 2010. 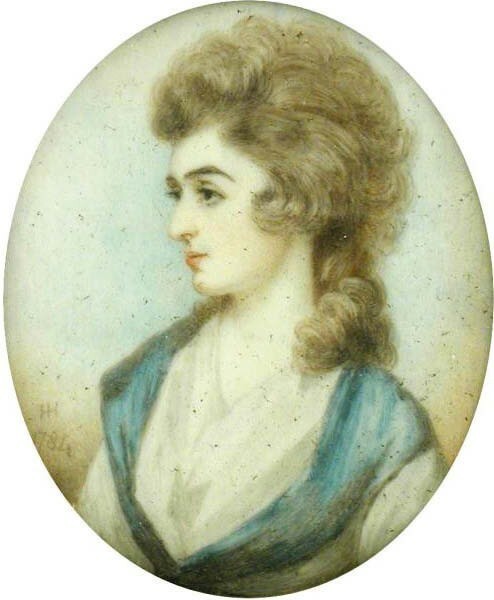 On March 7-8, Cambridge saleroom Cheffins (22.5% buyer’s premium) offered a watercolour and ivory miniature of Siddons at the height of her popularity in 1784. Like some other versions Hone produced, it was subsequently engraved by Francesco Bartolozzi (1725-1815). Conservatively estimated at £300-500, bidding rose quickly to £3000, then to £5000, where it was knocked down to a buyer in the room.